In Brief: An initiative of the Peruvian Cooperation Fund for Social Development, (FONCODES), Mi Chacra Emprendedora (My Entrepreneurial Farm) develops the capacity of rural entrepreneurs and households living in extreme poverty by expanding and diversifying income-generating activities and encouraging farmers to bring new products to market. Mi Chacra Emprendedora demonstrates the opportunity within marginalized communities to develop rural enterprise and innovations with long-term potential for economic growth and investment in new geographies and sectors. The Peruvian Cooperation Fund for Social Development (FONCODES) was established in 1991 to invest in small infrastructure projects (such as educational centres and footbridges) that would contribute to the growth of poor and marginalized regions. As FONCODES has evolved, it has also incorporated capacity-building programmes to develop the human capital in the communities in which they work. In 2011, the Ministry of Development and Social Inclusion (MIDIS) was created to coordinate between social policies and programmes across different sectors and levels of government to bridge the long-standing exclusionary gaps in Peru.1 Included under this new ministry were programmes that provided immediate support to impoverished households (such as the conditional cash transfer programme, Juntos) as well as longer-term infrastructure and capacity-building initiatives within FONCODES. Under the new ministry, FONCODES has begun to work more closely with local governments to develop public-private partnerships that create opportunities for economic growth. One component of this approach, Mi Chacra Emprendedora (My Entrepreneurial Farm), was based on the outcomes of a pilot initiative that ran from 2009-2010, Mi Chacra Productiva (My Productive Farm). The Mi Chacra Productiva pilot introduced simple technologies and techniques that helped to expand families’ income-generating activities. With a budget of 10 million nuevo soles (US$ 3.9 million) from public funds, the pilot worked with 6,592 households. Seventy percent of the households involved were also families participating in the conditional cash transfer programme, Juntos, demonstrating the strategic coordination between government initiatives. According to a third-party evaluation of Mi Chacra Productiva conducted in 2011 by the non-profit organization, Swisscontact, the pilot was on track to achieve its original objectives.2 For example, one of the programme’s goals was to ensure that 75% of participating households produced a surplus from their farm to bring to market. While the programme didn’t achieve this rate, it did prompt a significant increase; approximately 45% of households brought some surplus products to market. The evaluators determined that these numbers would increase as the interventions had more time to take effect. Building on previous experiences and incorporating Swisscontact’s recommendations, in 2012 FONCODES leveraged funding from the Food and Agriculture Organization of the United Nations and the Action Against Hunger Foundation to develop Mi Chacra Productiva in five districts. In June of the same year, two more pilots were developed using public funds. 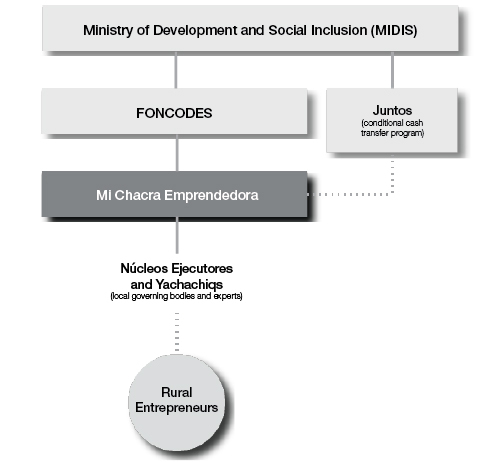 Finally, in October 2012, FONCODES launched Mi Chacra Emprendedora, the second iteration of Mi Chacra Productiva, in nine additional districts (in the regions of Apurimac, Cusco, Huancavelica and Ayacucho) with public funding from the Equality Fund. For an example in one region see the “Mi Chacra Emprendedora on the Ground” box in this section. These new initiatives are implemented throughout population centres of 100 households and directed by governing bodies called “Núcleos Ejecutores”, comprised of a president, secretary, treasurer and local government representative. These governing bodies are responsible for programme implementation and recruit local experts called “Yachachiqs” (the Quechua word for “teacher”) who work with approximately 35 households on the four programme components. The role of Yachachiq is central to Mi Chacra Emprendedora, and the initiative proactively solicits their feedback and engagement by sending FONCODES representatives from Lima to the local communities for knowledge exchanges. Funding from FONCODES is provided for these activities through Central Núcleos Ejecutores, providing a structure for effective community involvement, monitoring and supervision. Mi Chacra Emprendedora is now under way in 11 districts. With current funding, the programme will be extended over the next three years to 3,247 households. In 2013, MIDIS plans to contribute 66 million nuevo soles (US$ 25 million) to scale the programme to an additional 50 districts. 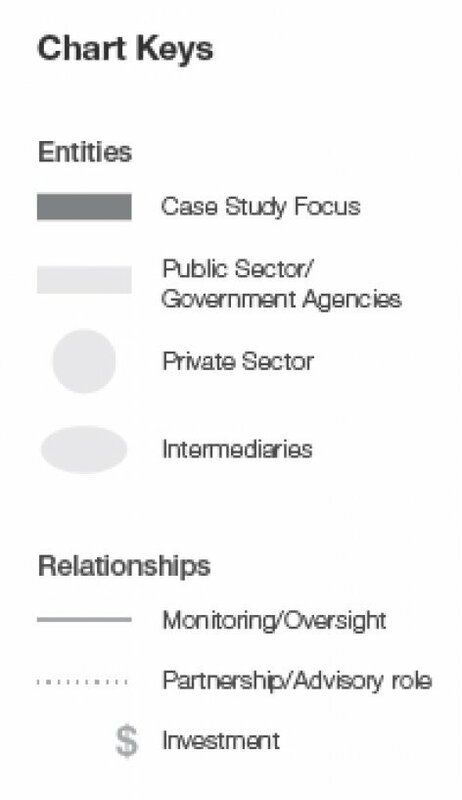 These activities will be tracked by a third party who will conduct an independent evaluation of the programme’s success. Currently much of the surplus generated by the participating rural entrepreneurs is only being sold informally; however, FONCODES has begun to identify potential partners (such as supermarkets) who can purchase products from the local communities. Other avenues for revenue generation include rural tourism development and brand marketing to increase the value of the rural products. To ensure the programme’s sustainability, FONCODES is working on a proposal under the “Results-based Budget” scheme of the Ministry of Economy and Finance. This proposal will ensure funding over the next three years along with measurable indicators for success. FONCODES is also working with the Network of Urban and Rural Municipalities to build capacity in local government and business so the programme is maintained beyond the initial intervention. In the transition from Mi Chacra Productiva to Mi Chacra Emprendedora, limited financial and human resources were one of the largest barriers to scaling the programme; many of the Yachachiqs and local experts were overloaded with demands for technical assistance. In addressing this constraint, FONCODES leveraged the cross-sector appeal of Mi Chacra Emprendedora. To further the mission of food security, Mi Chacra Emprendedora’s first financial partners were agriculture and hunger-oriented organizations. 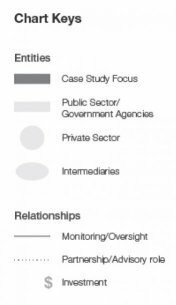 FONCODES has also identified other potential partnerships with private, multinational companies working in Peru. For example, it is currently working with a Canadian mining company to fund the work of Mi Chacra Emprendedora in the regions in which the company works. In a country with incredibly diverse geographies and cultures, Mi Chacra Emprendedora is intentionally introduced to local communities in a way that encourages their acceptance and support. This intentionality is demonstrated through language; for example, an alternative Quechua name is used for the initiative – Haku Wiñay. Additionally, many of the other programme components are in the local language. Local approval is also achieved through the financial structures of the Núcleos Ejecutores that dictate the way funds are spent. Mi Chacra Emprendedora requires that the funding provided by the Núcleos Ejecutores be somehow matched by households. Depending on local conditions, this matching could constitute paying for a percentage of the technologies or, in areas of extreme poverty, contributing their time, labour and construction materials (e.g. adobe for bricks). 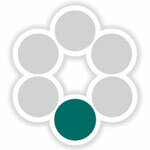 Within the MIDIS, obvious synergies between programmes like Mi Chacra Emprendedora and Juntos exist. In projecting that vision into the future, efforts like the promotion of rural enterprises’ participation in formal markets can provide a jumping-off point for the next phase of rural development. While the participants in Mi Chacra Emprendedora are not yet ready for traditional investment, the capacity and innovations currently in development set the groundwork for those opportunities in the future. In October 2012, Mi Chacra Emprendedora began work in the community of Urpaypampa in the Ayacucho region. One local family worked with a Yachachiq to upgrade their technology, including their stove and irrigation systems. They also received training on how to grow more vegetables, and alfalfa to feed their guinea pigs. As a result of this technical assistance, the family increased their farm production significantly; formerly maintaining barely enough for sustenance, the family now produces enough to sell guinea pigs at local markets. The family also developed a business plan, winning grant funding in a business plan competition. In the future they hope to sell their guinea pigs (and vegetables as they continue to improve production) at larger, regional markets.